We are two-weeks out from the official announcement, but it should come as no surprise that Canadian carrier Rogers, among the first to confirm support for BlackBerry 10, is leading the way to get its employees trained on RIM’s new operating system and user experience. The training embarks on who BlackBerry wants to serve, people who are “hyper-connected,” have a “huge appetite for getting things done,” and are “crazy multitaskers.” It sounds promising, who doesn’t want to achieve success? The training touches on the strengths, the user experience, and how to position BlackBerry 10 to the customer. The overall contents are things we already know about BlackBerry 10 and the hardware underneath, like a Qualcomm S4 processor, 1,800mAh battery, and all the innards of the BlackBerry 10 operating system. From the Hub, to Keyboard, to BBM video and Time-Shift Mode for the camera, it is all there and easily accessible via BlackBerry Flow, an intuitive, gesture based navigation scheme which we can’t wait to dig into. Other features include BlackBerry Remember, a way to organize information and content and sync them with Evernote and Microsoft Outlook. 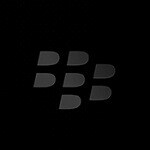 Win a BlackBerry 10 handset! The training touches on the Calendar, BlackBerry Balance, BlackBerry Safeguard, and the Browser, of which we have seen some very promising benchmark scores. There will also be plenty of apps available. The training is well positioned to show the next generation of BlackBerry and even though we know so much about the upcoming hardware and BlackBerry 10, it still makes this January 30th all the more exciting. I don't like BB6-7, but maybe I'll consider this BB10 as my future phone. Blackberry keyboard looks pretty cool too, but let's wait until the announcement. But I think something like Bb link, protect and ID has been on Android since ages. Cmiiw. slide7 shows a slider. is there a slider bb10?